If you’re thinking of investing in London property, it’s important to understand what can affect an apartment’s value to be sure of the best return. 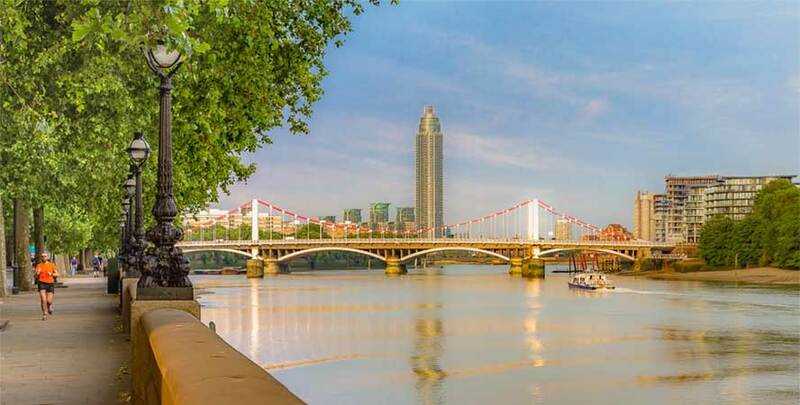 Omar Jumaili, Sales Manager at Henry Wiltshire Nine Elms Estate Agent Office explains which factors and facilities affect London apartment values and why. “In general, the higher up a building the flat is located, the higher the price the flat can command,” explains Omar. “In the 45-storey Tower at St George’s Wharf, for example, prices increase by roughly £25,000 per floor at time of writing. Often, the top section of an apartment block is known as “the premier floors” or similar – well deserved, as these flats often have access to amenities closed to other residents. “However, the “high floor, high value” rule doesn’t always apply, especially in buildings without lifts! In house conversions, for example, first floor apartments are usually the most sought-after, offering something of a view – sometimes through beautiful bay windows – but without giving residents too many stairs to climb. By contrast, the top floor apartment might have the lowest value, because of the number of stairs and relatively small rooms. Omar Jumaili is one of Henry Wiltshire’s most experienced sales managers. To discuss apartment valuation or find the perfect investment property, please contact him on 020 3696 5620.